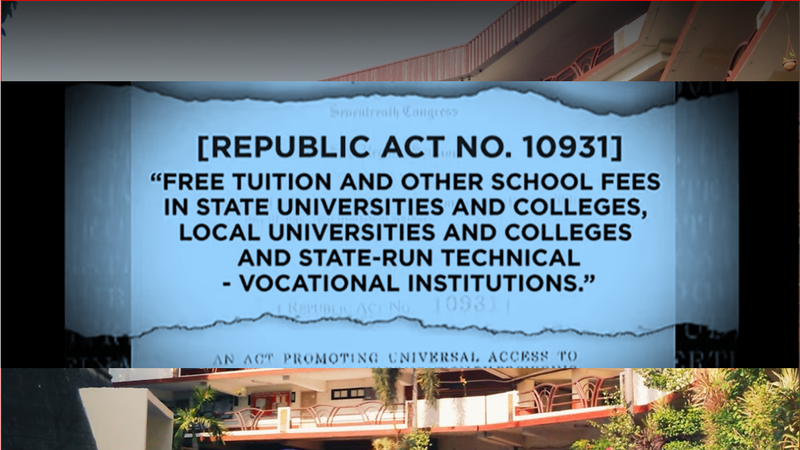 Starting June 2018, for the school year 2018 to 2019, free tuition fees and other school fees in state universities and state colleges, local universities and local colleges and other state-run technical and vocational institutions through the Republic Act No. 10931. There are a total of 114 universities and colleges, and the list can be found below. Other students at the state universities are complaining that they are required to pay some miscellaneous fees, but some universities maintain that the effectivity of the free education tuition fees will start in June 2018.